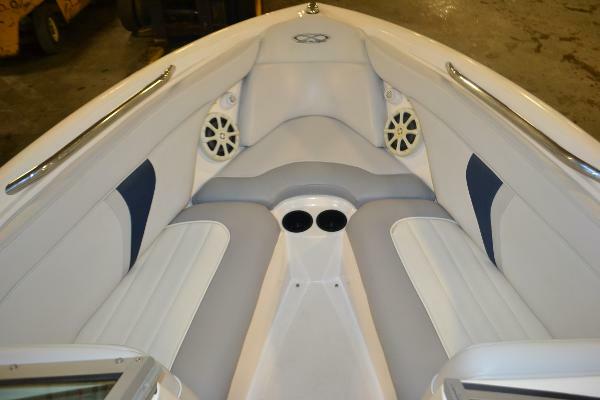 Stock# P1067B This in stock 2003 Mastercraft Prostar 205V is powered by a powerful 310hp Predator engine and has only 393 freshwater hours. 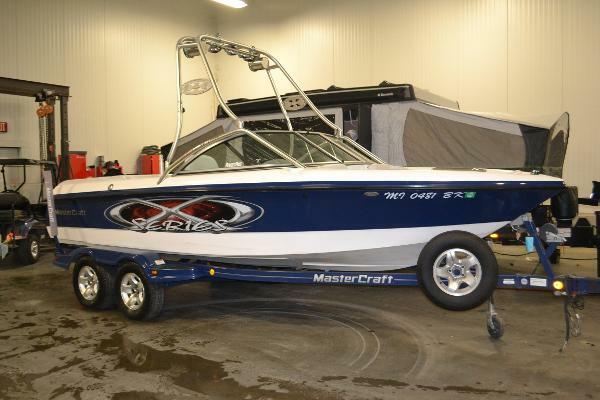 This 2003 Mastercraft is like a dedicated piece of sports equipment the boat's ambidextrous wakes are ideal for all types of fun. When driving the 205V above 24 mph, the boat's narrow wake lays down for carving uninterrupted slalom turns. It creates ideal conditions for beginner and intermediate skiers. At slower speeds, the 205V creates narrow, tall, defined wakes that are perfect for beginner, intermediate and expert wakeboarders. The 205V has space for life jackets, skis, ropes and boards under the seat, under the floor or below the cavernous three-piece sundeck. 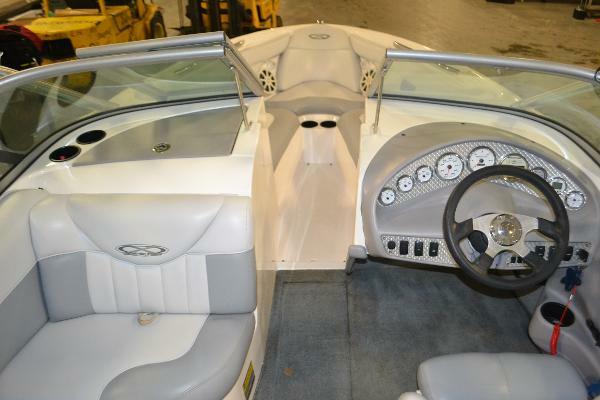 There's also expansive wrap-around seating and an open bow to seat 12 people comfortably. A must see!